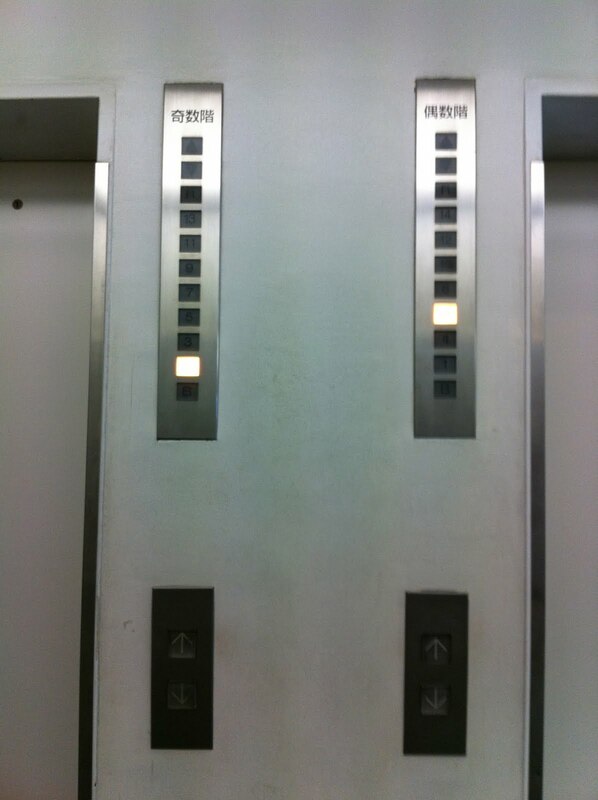 .... got into an elevator this afternoon expecting to ride to the seventh floor only to discover that there was no seventh floor. 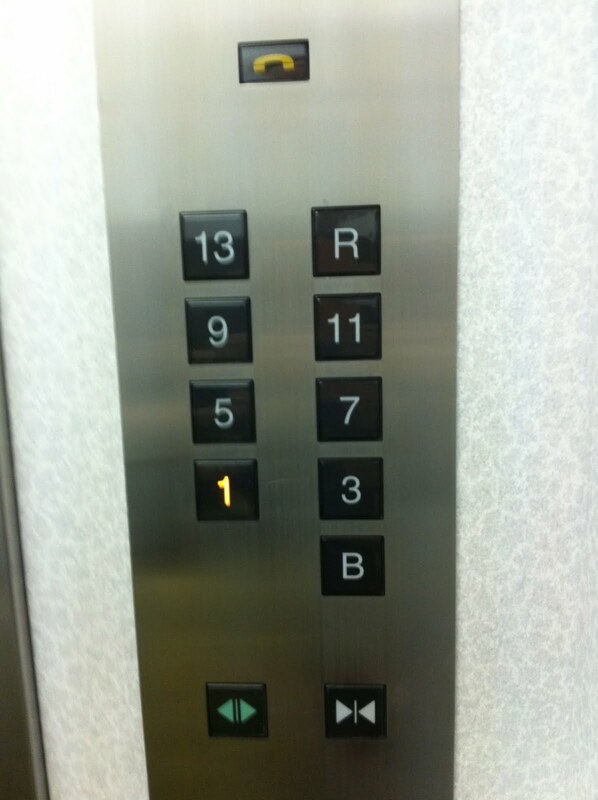 Or any odd numbered floor for that matter. What ??? It was kind of an Alfred Hitchcock moment. Noting my consternation, a fellow passenger explained that I had to go to up to floor eight and take the stairs down from there. 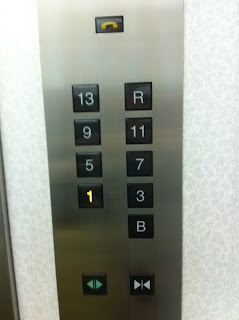 After my meeting, I got into the elevator on the seventh floor and discovered that there weren't any even numbered floors listed. Apparently this 70s vintage building (wouldn't want to be there during an earthquake!) has two, side-by-side elevators, one for even floors and one for odds. Somehow I have the idea that this was a design concept that never really took off. But it is kind of quaint in its own, Alice-in-Wonderland way.